Boldrocchi is a referenced supplier for the largest OEMs in the world including GE, Siemens, Ansaldo Energia, Mitsubishi Hitachi Power Systems (MHPS), Alstom Power, Solar Turbines/Caterpillar and Rolls Royce. We offer end-users fully turnkey solutions and have highly trained teams able to install and commission our systems, no matter where in the world. We are one of the few companies in the world to provide all systems around gas turbines including air intake & exhaust gas systems, diverter / dampers and enclosures. We are a single source for the design, fabrication, delivery, maintenance and warranties of these complex packages: priceless for customers. 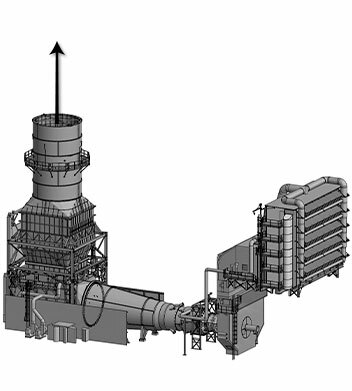 Boldrocchi has over 1,000 gas turbine auxiliary systems installed in power plants around the world. We have the technical proficiency to meet all noise abatement regulations, whether for gas turbines, fans, coolers or other machinery. Considerable track record in greenfields and in offering high quality upgrade and retrofit solutions. We use the most advanced simulation and design systems & test in-house (always open to clients), offering customers the Best Available Technologies.